Telus is expanding its Quad Band LTE service to include almost 40 markets in Canada, delivering theoretical speeds of up to 750Mbps, or average speeds of between 22 and 174Mbps. Currently, the only device the carrier sells and has optimized to take advantage of these speeds is the Samsung Galaxy S8 and S8+, due to its Qualcomm Snapdragon 835 chipset with X16 LTE modem. It’s currently unclear whether unlocked devices with the 835 processor will be able to reach the same speeds on the network. When Bell first announced support for Quad Band LTE, it said the Galaxy S8 and S8+ required a software update to take advantage of the networking technology, suggesting unlocked devices, even those sold by Telus, require similar software before they can achieve the faster download speeds offered by Quad Band LTE. Quad Band LTE, also known as four-carrier aggregation, allows carriers to stitch together multiple blocks of wireless spectrum to provide subscribers with faster network speeds and more reliably strong service. The news regarding the Quad Band LTE expansion comes about a week after Bell made the same announcement. The carriers have a long-held network infrastructure sharing agreement, which explains why updates to one network would reap the same rewards for the other network. 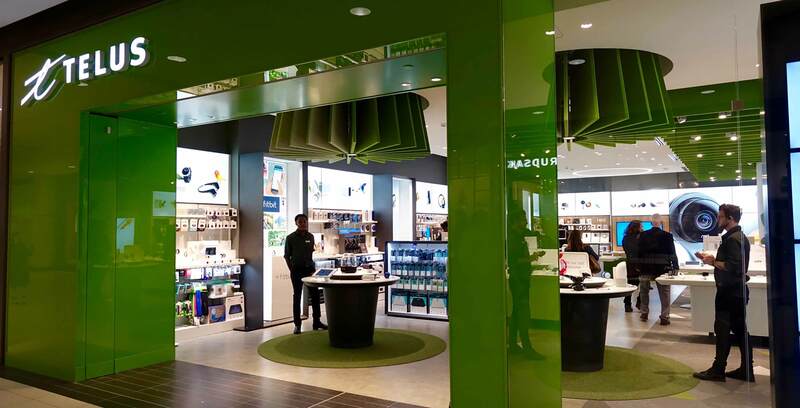 Telus first rolled out its Quad Band LTE-A service in April, claiming at the time that it was North America’s first provider to launch the service. Bell made a similar claim. Telus notes that this expansion of its Quad Band LTE is part of a much larger overall investment in its infrastructure. According to the company, before the end of the year it will have invested more than $150 billion in operations and infrastructure across the country since 2000. Many of its current investments provide a bridge into its forthcoming 5G network. Recently, Telus VP of 5G spectrum Bernard Bureau spoke about the company’s investment, and its progress, at a multi-point deployment held in partnership with Huawei in Burnaby, BC. British Columbia: Vancouver and Fort St. John.